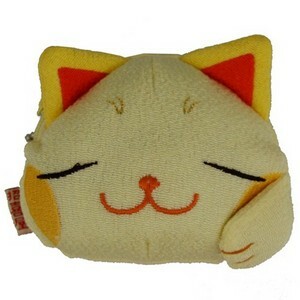 Lucky cat face purse with zip. Please note the purse is stuffed either side so actual compartment for coins is relatively small. There will be slight variations in colour and pattern between the purse shown in the picture and the purse you receive. Made in China.